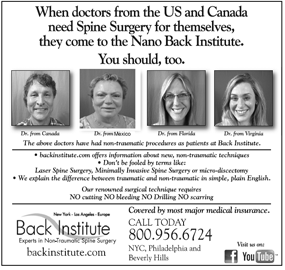 Back Institute - Safest, most effective procedure for herniated disc, sciatica, back pain. Has patient had an MRI? When? What did it show? 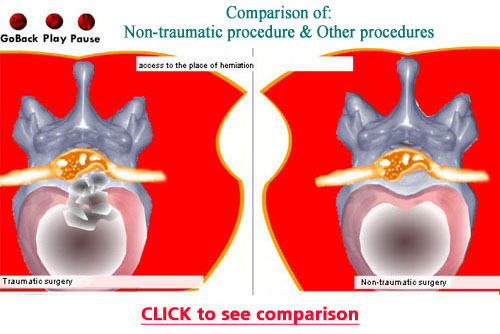 It is an outpatient surgical procedure to remove herniated disc material. Most herniated disc patients can benefit from this procedure. 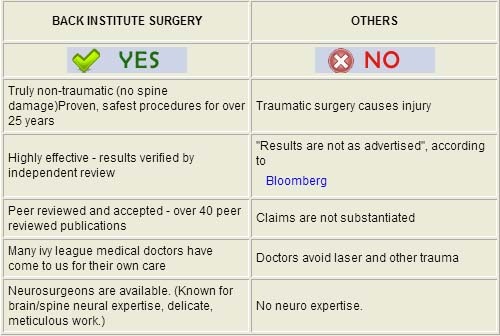 Where do Doctors have procedures done on themselves? Physicians, Surgeons, Professors and other professionals come to the Back Institute for their personal care. A pioneering medical center, the Back Institute is unique in providing non-traumatic spine surgery, resulting in zero damage to the spine and a much speedier recovery time than traditional spine surgery. 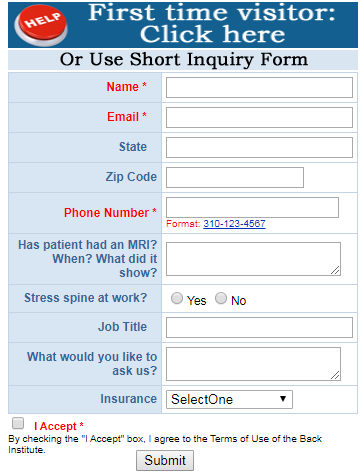 For these reasons, many doctors come to us for their own spine care (See Testimonials)). 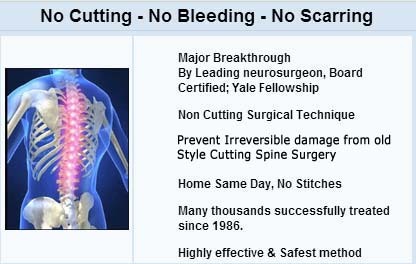 The fundamental approaches to non-traumatic spinal disc removal were invented here. Since 1986, we have been authoring distinguished, peer reviewed publications (See Our Publications). And we have taught our breakthrough techniques around the world. Procedures are performed by award winning experts (10 Year Top Doctor Award). 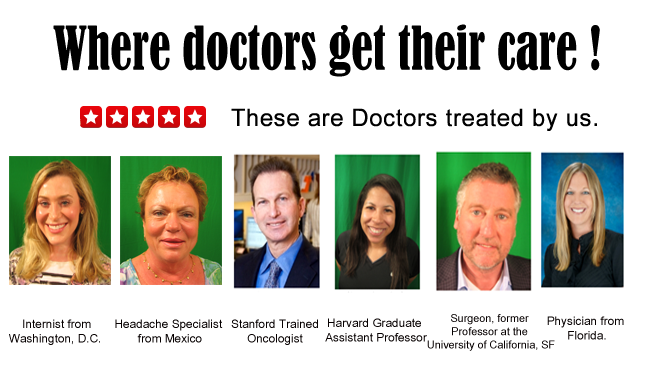 Our surgeons are on staff at the best hospitals in the country. They regularly participate in medical conferences where they present their publications. Because our outpatient non-traumatic procedures don't involve bone removal, cutting or bleeding, we are able to do surgery in just one day. These procedures are safe and easy on the patient.